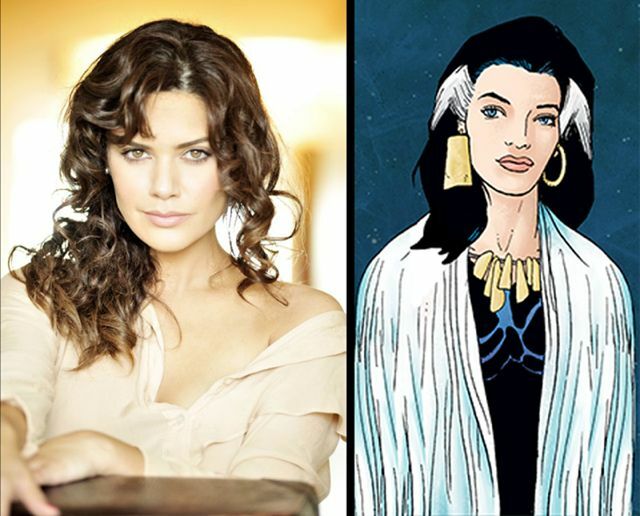 With the pilot ready to premiere at Comic-Con International in less than two weeks, NBC’s upcoming “Constantine” drama, based on the Vertigo Comics character, has replaced its female lead with Latina actress Angélica Celaya joining the cast as Mary “Zed” Martin, as confirmed on the show’s Facebook page. Celaya will replace Lucy Griffiths’ Liv, the female lead in the pilot, as she takes on the role of the character from the comics, an artist who joins John Constantine’s battle against evil forces as well as being his lover. Matt Ryan stars alongside Charles Halford and Harold Perrineau Jr. (“Lost”) in the upcoming series from David S. Goyer, Neil Marshall and Daniel Cerone, many of them appearing at Comic-Con International at the panels and screenings planned for the new show.